When it comes to social media, the million-dollar question is: what are the best times to post on social media? We did a little digging around and found out what the experts are saying. The first expert we take a look at is Rose Leadem from Entrepreneur. In her post, Rose reveals a report that states: "Thursday at 5 p.m. (all times Eastern) is an ideal time to send out a tweet, while Thursday at 8 p.m. provides the greatest chance of a customer clicking, liking, sharing or commenting on a Facebook post." For the full post, check out the tweet above. HubSpot is a leading expert when it comes to anything and everything marketing. In this post by Lindsay Kolowich, the expert reveals that the best time to post on the weekend is between 12pm - 1pm. Similarly, the best time to tweet are between the hours of 12pm - 3pm on Monday through Friday. Read the complete guide above from HubSpot. Neil Patel is well known throughout the digital marketing community. 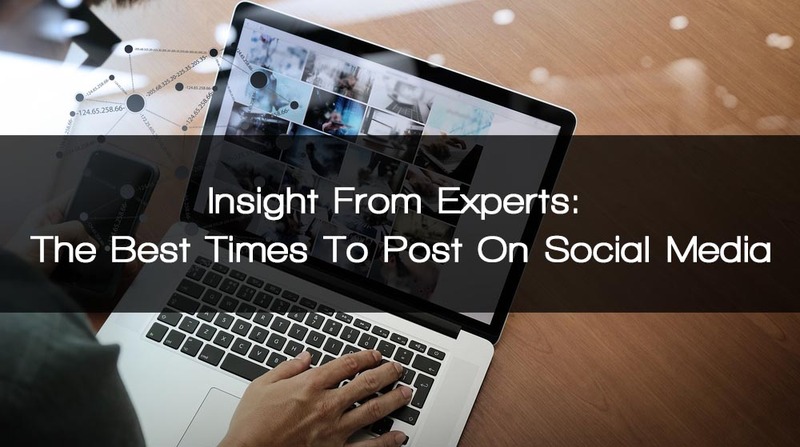 In this insightful post titled: Is There a Generic Best Time to Post On Social Media Platforms?, the expert breaks down LinkedIn, Twitter, Facebook, Instagram, and Pinterest among others. According to the post, on Twitter, 12pm and 6pm produces the highest click-through-rate, while 5pm produces the highest retweets. Check out the complete guide above. We've been talking about the big social media players, but what about the smaller social platforms? Alex York over at Sprout Social shares insight about Google+ and LinkedIn. The most popular times to post on Google+ is between 9am to 12pm, Monday through Friday. They saw that Wednesday saw the highest rate of engagement. Similarly, Tuesday through Thursday between the hours of 12pm to 5pm are the best times to post on LinkedIn. As we mentioned earlier, most of these studies agree with one another. In this complete guide by CoSchedule, Nathan Ellering mentions that Thursday through Sunday saw a higher engagement rate. More specifically, 18% on Thursday and Friday; and 32% on Saturday and Sunday. Similarly, B2B Twitter users performed 16% higher during business hours, while B2C users performed 17% higher on the weekends. Thursday at 8 p.m. provides the greatest chance of a customer clicking, liking, sharing or commenting on a Facebook post. HubSpot says: Best time to post on the weekend is between 12pm - 1pm. The best time to tweet are between the hours of 12pm - 3pm on Monday through Friday. Tweeting at 5pm produces the highest retweets. Sprout Social: Best time to post on Google+ is between 9am to 12pm, Monday through Friday. Wednesdays saw the highest rate of engagement. The best time to post on LinkedIn is Tuesday through Thursday between the hours of 12pm to 5pm. CoSchedule: B2B Twitter users performed 16% higher during business hours. B2C users performed 17% higher on the weekends.